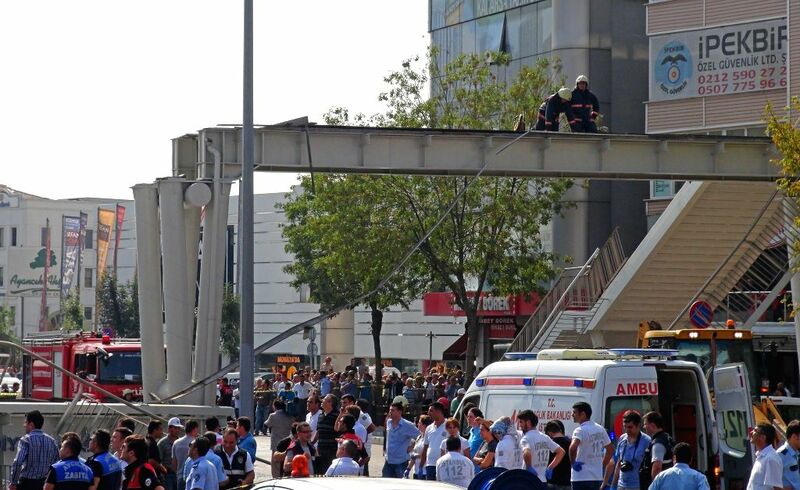 ISTANBUL, Sept. 3, 2014 - Ambulances and fire fighters are carrying out the rescue work in Istanbul on Sept. 3, 2014. 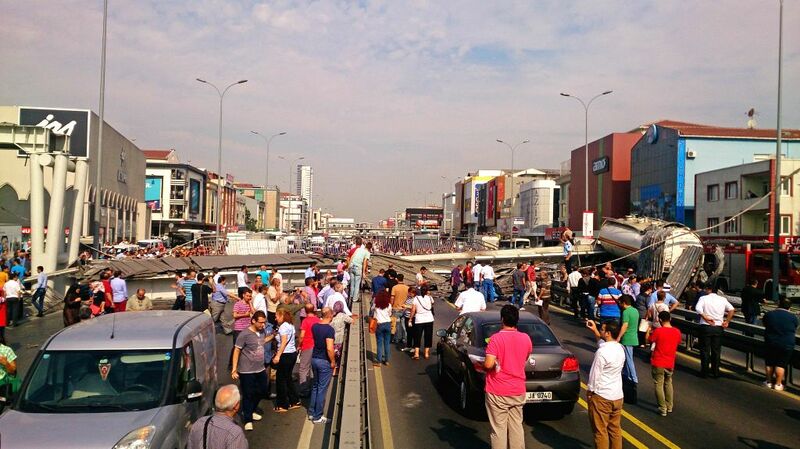 An overpass collapsed in Istanbul's Avcilar district killing at least two and injuring several on Wednesday. The accident took place after the dump of a truck carrying liquid glucose opened and hit the overpass.